BATON ROUGE, LA (WAFB) - Bike Baton Rouge, a non-profit organization, has released its first official bike map to make it easier for residents to get around Baton Rouge safely and comfortably. "We're well aware that biking in Baton Rouge can be a little challenging, but it doesn't have to be if you're familiar with the right streets to ride on. 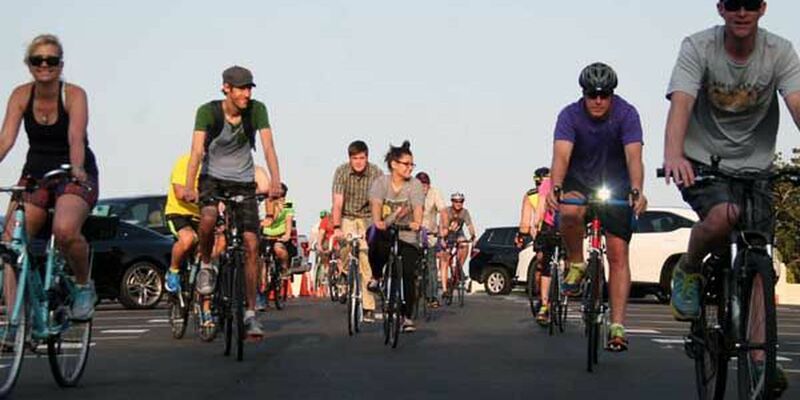 With the Official Baton Rouge Bike Map, the right streets are at your fingertips wherever you have a connection to the internet," said Bike Baton Rouge president, Mike Torkkola. The map is a labor of love from many Bike Baton Rouge members and volunteers, many of whom ride their bikes around the city daily. The routes were selected to be low traffic and low stress while connecting to neighborhoods and other destinations with minimal distance. "Every time somebody chooses to ride a bike instead of driving, everyone wins. The person riding gets some exercise, gets to have a good time, and gets to be out interacting with their neighbors rather than staring at a dashboard, and everyone else gets to have one less car on the road, meaning less traffic, less pollution, and a better future for our city and our planet," said Torkkola. The Official Bike Baton Rouge map is available here.